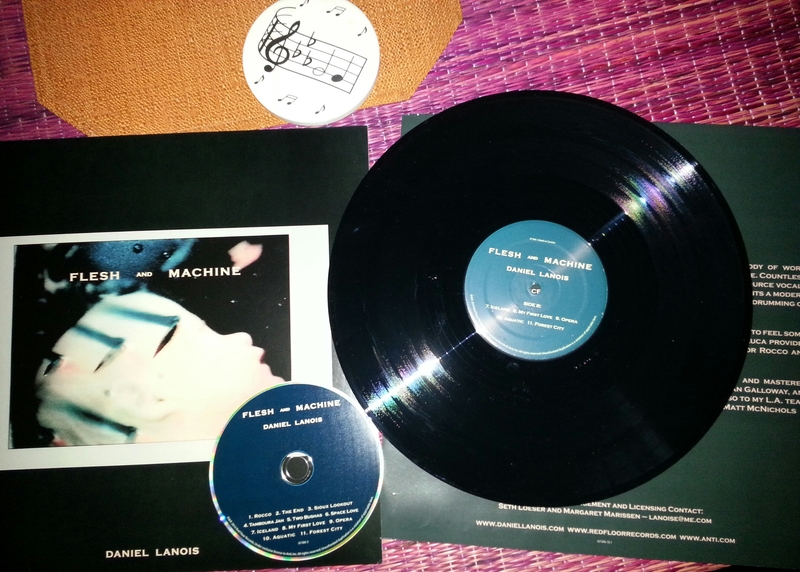 I received the latest lovely piece of work from Daniel Lanois today — Flesh and Machine. First of all, my ears are extremely happy. Second, this album has lifted my mood. Third, since I have synesthesia, this album is a double joy to listen to and experience. It’s difficult to put into words the colorful images, patterns, and shapes I see when listening to music (and all other sounds) in general. My experience with this album is no different. All the reviews I’ve read regarding this album pretty much say it all so I’ll not repeat. I’ll just add — go buy it!